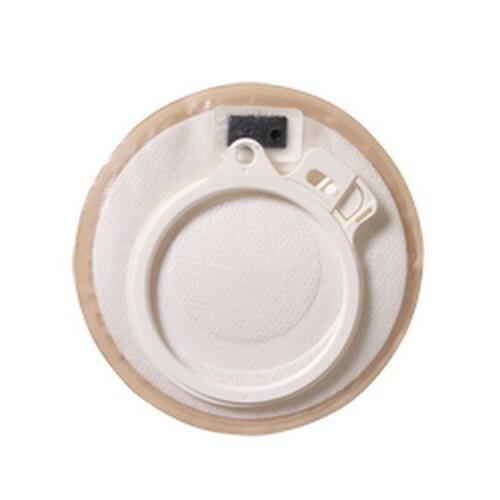 The Coloplast Assura 2-Piece Stoma Cap provides a wall of closure and confirmed seal to keep the stoma from leaking out when not connected to a bag. 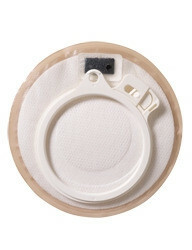 The stoma cap is simply that, it is used by people living with a sort of stoma procedure and helps create a border between the stoma and the connection to a two-piece pouch. The Coloplast Stoma Cap for Two-Piece Systems includes an integrated filter, such filters can be found in the kinds of ostomy bags you may already be using. With this filter, the stoma can still breath properly and filter out gasses without causing the stoma to accumulate moisture - which can lead to unpleasant odors. The benefit of the stoma cap is the soft cloth design, it helps feel natural as regular clothing and keeps sweat from building up due to the close proximity of the stoma cap. When using the cap to connect to a bag, make sure your equipment and the area around the skin are cleaned off properly. You can complete this step by using a wipe such as the Cavilon No Sting Barrier Film by 3M to clean the area. The Coloplast Minicap Assura Stoma Cap offers a low profile design so that when you are not wearing a pouch, you can still wear your regular clothing without having the cap showing through. The small size is optimal for people that have an ostomy who irrigate. With many options available for your benefit, there are some such as the Assura stoma cap that is not made with natural rubber latex - allowing it to be used with more patients.